To create a new code snippet, open the Chrome DevTools, select the "Sources" panel, and then the "Snippets" tab on the left. It is next to the page's own scripts and loaded extensions' tabs. Right click anywhere in the snippets' list and select "New" option. To quickly execute a code snippet, press CMD+Enter or right click and select "Run" option. 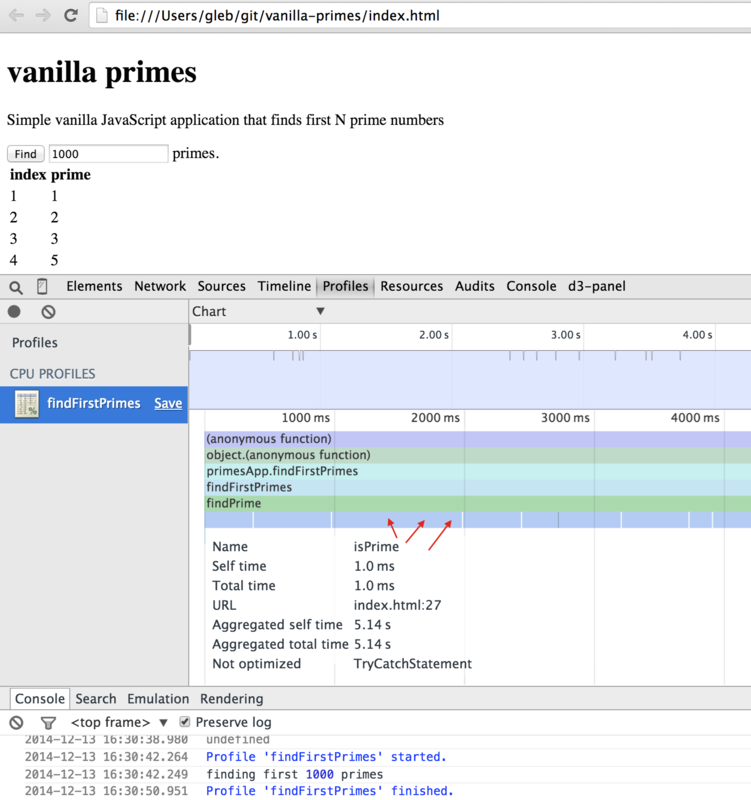 A simple code snippet could show time to first paint event using the browser's performance structure. 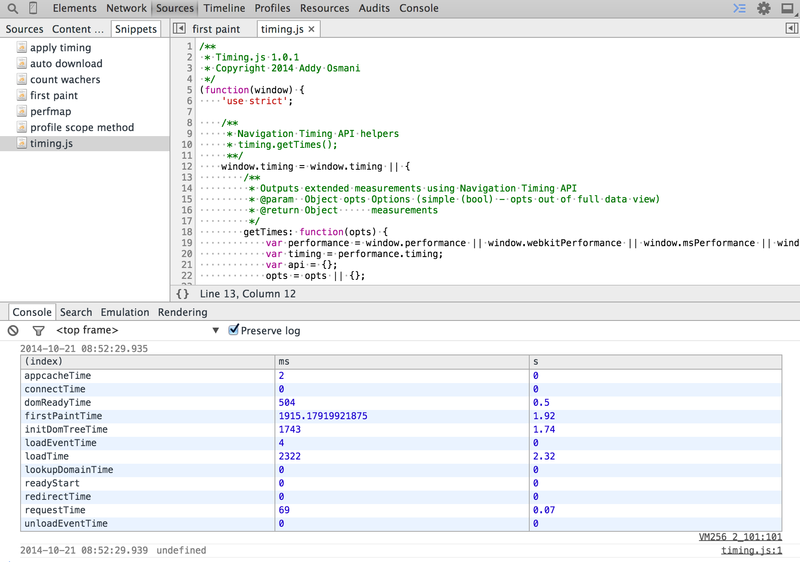 This example is taken from the excellent Wait, Chrome DevTools can do that? video. Building up on the previous example, one can get all the page's time information by creating a code snippet that contains addyosmani/timing.js. Running this snippet gives lots of interesting numbers for the current page. The code snippets are a lot more user and developer friendly than the bookmarklets - the code is clearly visible and can be modified and saved at will. We can inspect the application's source to find that the application executes a callback on the button click event. We now see that the method's performance clearly deteriorates for larger values of N. But which part of our code is the actual bottleneck? Let us get this information by using the profile-method-call.js snippet. This snippet uses profile(); ... profileEnd(); instead of time(); ... timeEnd(); to wrap the desired method. 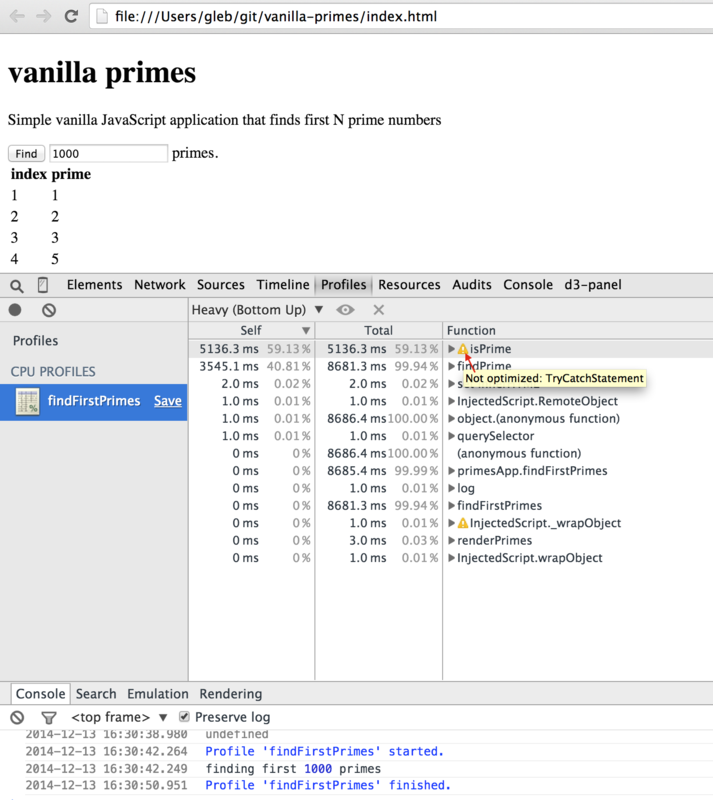 This creates the detailed CPU profile, shown below as a chart. The CPU profile collected by the snippet is a lot more precise than starting and stopping the profiler manually, especially for short method calls. In this case the try - catch statement is completely unnecessary. Let us remove it and profile the application again. The time to find the first 1000 primes drops from 8 to 3 seconds. The bottleneck in isPrime has been completely removed - it now takes just a few milliseconds. expensive-keys.js - measures how much space individual keys and their values take up in a collection of objects, read Measuring Space Allocation for more details. keys-vs-values.js - measures length of keys vs length of values in an array. This blog post has been featured in the Perf Planet calendar. Chrome DevTools Snippets - my earlier intro to the code snippets, including the auto-download feature. 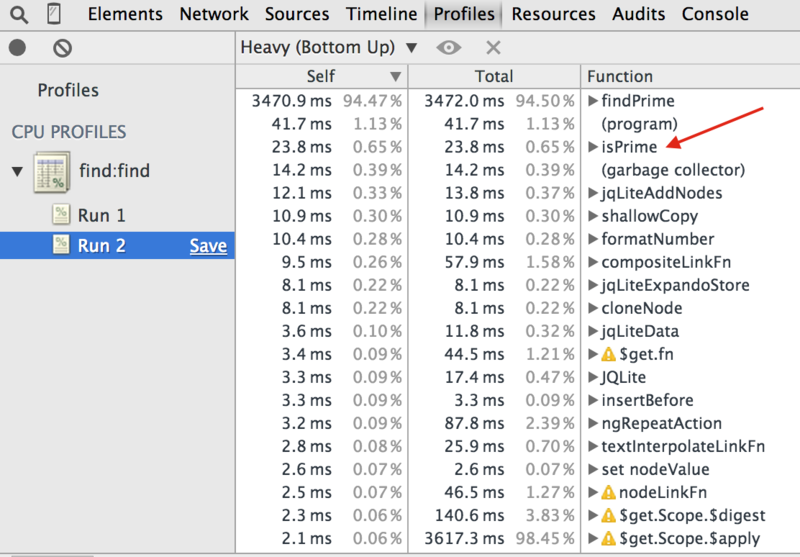 Intro to DevTools snippets - a blog post by Brian Grinstead. Improving Angular web app performance - very large example with lots of AngularJs-specific techniques. 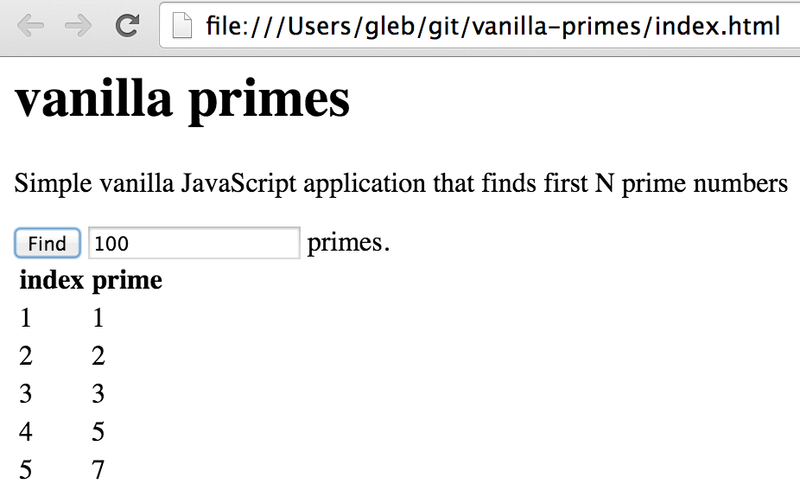 Most of the steps include using code snippets to find bottlenecks.